Are you feeling the magic of the season?? 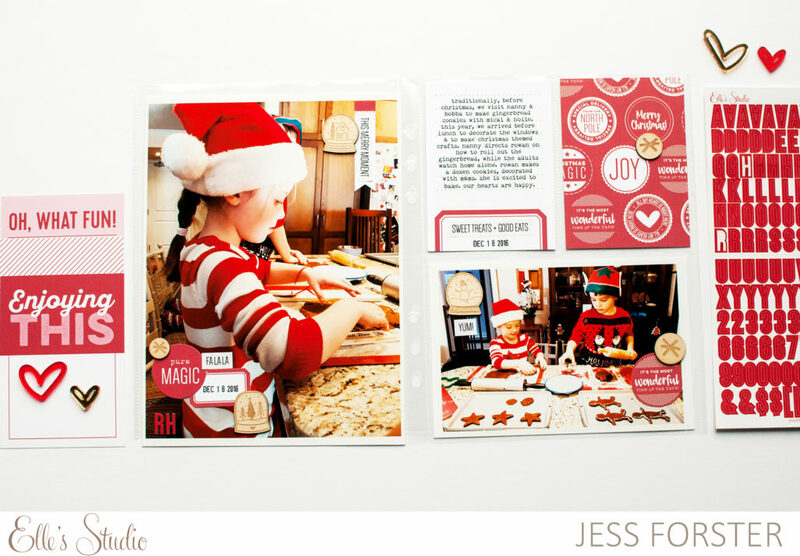 This month I used the November kit from Elle’s Studio to create two Christmas themed, 6×8 double page layouts. 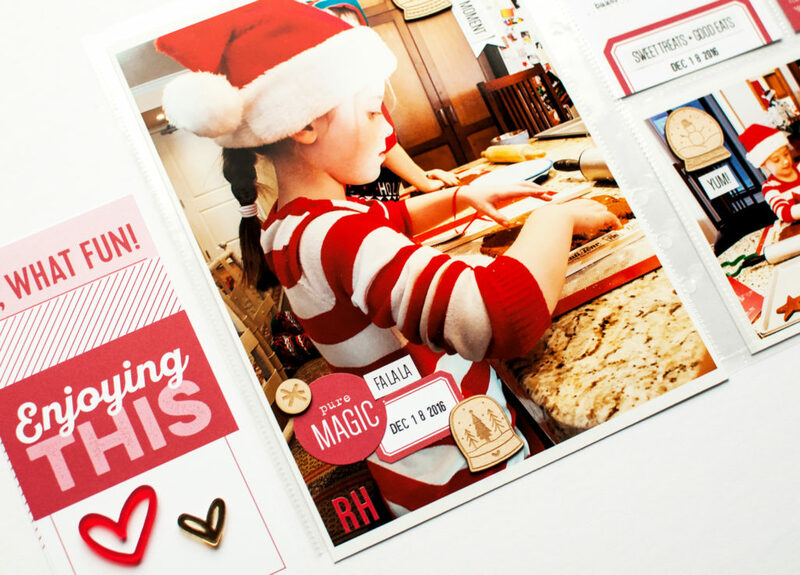 Documenting these layouts, has made me really really excited for the holidays. I may have started to listen to Christmas music! Ha! I used the red labeled card to tell the story of the annual Hunter family gingerbread bake off. I first recorded this story in my December Daily project, but decided to add more details and include it in my daughter’s story album. I loved layering the wood veneer snow globes, this season phrase stickers, red Jane alphabet stickers and various die cuts from the monthly kit on my photo. I just love that red! 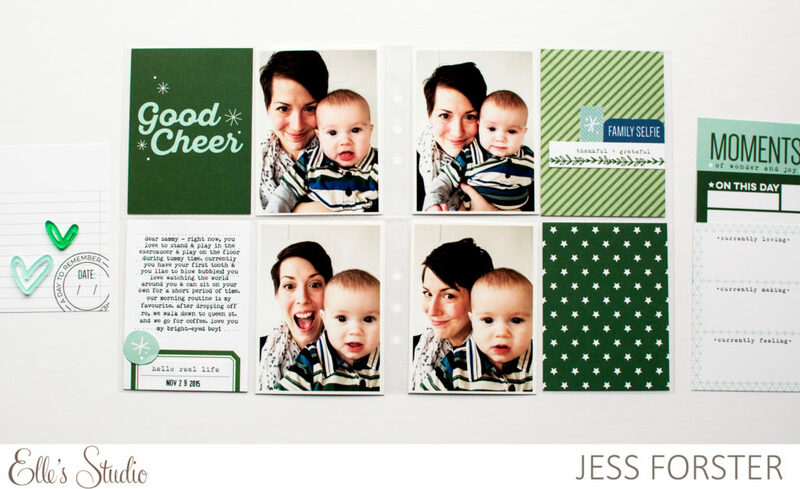 As soon as I saw the green “Good Cheer” card from the November kit, I knew I wanted to document the story of baby Sam at Christmas. 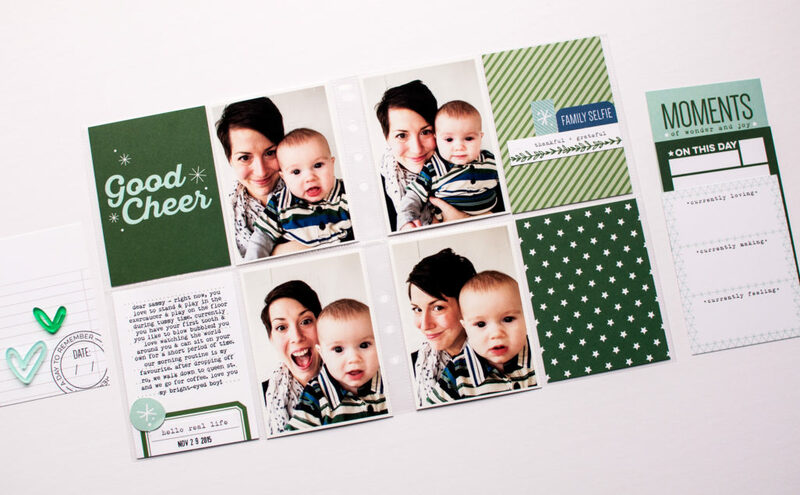 I use the green label card to record Sam’s growth and development. My goodness, he looks so small in these photos!! 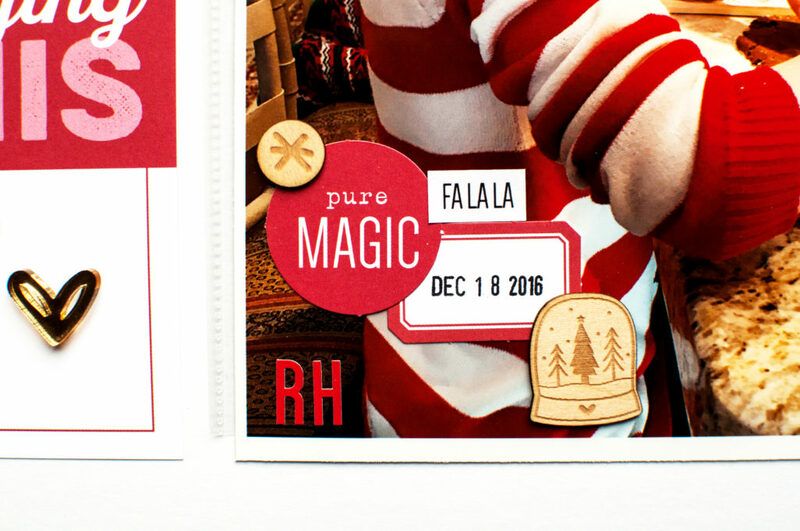 I then cut up green papers from the Merry & Bright 6×6 paper pack to create journaling cards and layered die cuts from the monthly kit. I really love the greens, blues and whites in this kit. 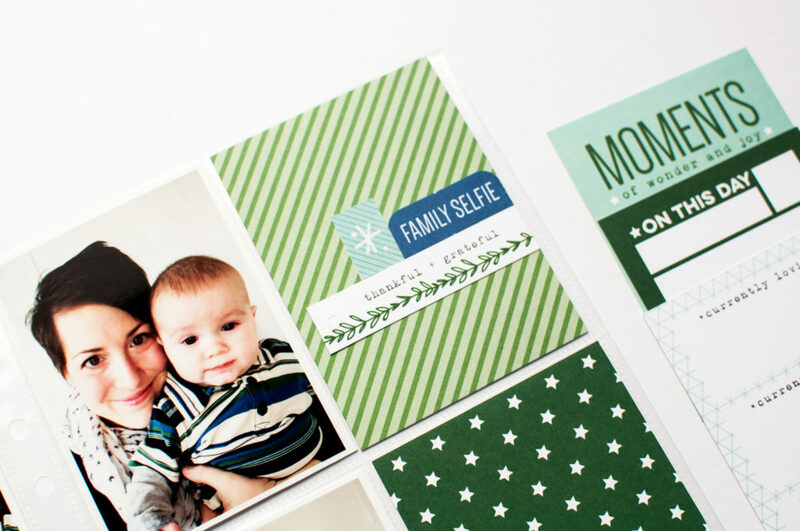 Such a fun monochromatic layout! 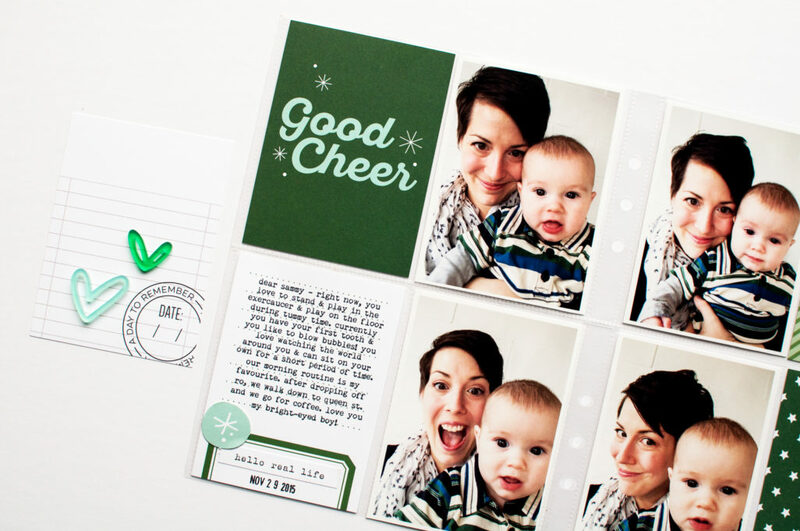 Are you in the mood to scrapbook the holidays? ?